Summit Dentistry Dr. Lopez DDS offers a wide range of dentistry services for patients of all ages who may be suffering from any condition. Our friendly and dedicated staff will help you and your family members feel comfortable as we help everyone in your household achieve optimum oral health. Bridges & Crowns: Repair your smile after tooth loss with these highly-realistic porcelain prosthetics. Dental Exams: Complete dental exams that check for oral problems and aim at improving your oral health. Dentures: Also an alternative to tooth loss, these removable teeth replacements are matched to your liking, resemble natural teeth and they may even enhance your smile. Extractions: The removal of one or more teeth from the mouth usually because of tooth damage, gum disease or decay. Implant Restoration: The replacement of one or more missing teeth with a porcelain tooth implants that look and feel like your natural teeth. Root Canals: A treatment designed to repair a tooth that is decayed or that has become infected. Teeth Cleaning: Our Spokane dental cleanings will help you achieve optimum oral hygiene, leaving your teeth healthy and bright. Teeth Whitening: A simple dental treatment designed to improve the color of your teeth and beautify your smile. Veneers: Thin and durable, porcelain veneers are fitted to your teeth in order to give you the perfect smile. Call Our Spokane Dental Office to Book Your Appointment Today! We offer a specialized consultations for all new patients young and old. We accept most insurance policies as well as financing plans for patients who qualify. We are dedicated to your oral health and well-being. Let Dr. Anibal López and his staff assist your family with your dental problems and improvements. 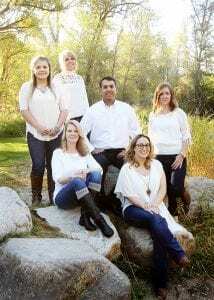 Contact Summit Family & Cosmetic Dentistry in Spokane, Washington today.